Some tourists approach their itineraries painstakingly in the weeks and days leading up to much- anticipated trips with the attention of neurosurgeons. Instead of just accounting for every minute and hour, thorough planners maximize their time to its fullest potential. From where they’ll purchase and consume their first cup of coffee to the midnight snack and accompanying nightcap that will end each day, they leave no detail to chance. That’s not the path for every traveler, but it’s definitely one that works. 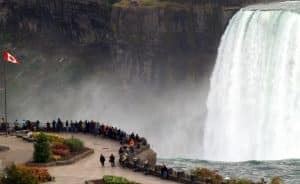 When schedule-loving visitors head to Niagara, they experience the region almost as fully as life-long residents. However, even the most careful organizers can miss some out-of-the-way gems. Yes, the area boasts scores of wineries. You can experience the waterfalls in numerous ways. Because of parks, shows, restaurants, and museums, almost every tourist skips over one of Niagara Falls’ best-kept secrets: the Niagara Falls Library. Check the library’s Programs & Events section online for monthly calendars. Discover what will appeal to you, your kids, or anyone else in your group at different branches on any day. You’ll find everything below plus so many other enlightening, creative, and fun activities for all ages. Located at the library system’s main 4848 Victoria Ave. site, the Rosberg Gallery offers up a monthly, changing exhibit. It almost always features an artist from the Niagara area, although it includes the occasional traveling show as well. If you have an interest in local creations, the Rosberg Gallery will give you a glimpse into some of what’s happening in Niagara’s art scene. Evening movie events include Big Screen Tuesdays at the Victoria Avenue branch and Movies at Chippewa on Wednesday nights at 3763 Main St. Many featured movies have just made the theatre rounds or are still showing prior to DVD releases. Others are universal favorites or cult classics. The wide range of titles spans from family films to serious dramas. You can bring popcorn or snacks, and the movies are completely free. The 6 p.m. show time is great as well. That means you can take in a film and still go out and grab dinner or dessert. 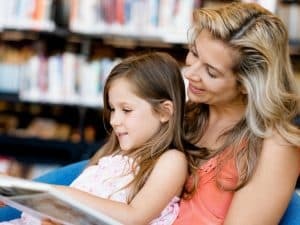 If you’re traveling with children, the library makes a great place to spend a few quiet hours in between waterparks, arcades, and candy store runs. Settle in to a peaceful corner and read books together. Take in some of the programming that’s specifically for little ones. Options include story time, Lego robotics classes, writing and painting camps, computer coding, and dance parties. Young pet lovers will like interacting with dogs during Therapy Tails. Teen activities vary from playing Dungeons & Dragons and painting to entering cupcake baking contests and creating homemade ice cream sundaes. For child-centered educational fun, the Niagara Falls Public Library has a lot to offer. The website’s Programs & Events feature Children’s and Teen pages with more details. nces. Refer to the website’s Programs & Events section for specifics on Adult Programs. If you need a computer for any personal or business reason while away from home, a guest pass will allow one-time public terminal use with Internet access, Microsoft Office and LibreOffice. Bring your own flash drive to upload and/or download files. When you stay at inviting first-class Sheraton on the Falls, the closest library is on Victoria Avenue. It’s just a four-minute, 1.7-kilometer/1.06-mile drive. Access the free parking lot off Buckley Avenue via Morrison Street a block east of Victoria Avenue. Public transportation is available near the hotel. Niagara Falls Transit buses leave every 30 minutes. Days and hours may vary by branch. The Victoria Avenue facility is open Monday-Thursday 9 a.m.-8 p.m. and Friday-Saturday 9 a.m.-5 p.m. For other properties, check the Locations & Hours tab online. Review the included holiday closure schedule that applies to the entire library system. Be sure the one you plan to visit will be open before making the trip. Use the suggestions above to pad your itinerary with a trip or two to a library. From art and movies to kid-centered and adult activities, the public library is an ideal stop for any Niagara Falls vacation. Pop into this entertaining indoor haven for breaks from outdoor activities. In this tranquil setting, inspiration enriches visitors of all ages.